Irmo drivers looking for a new reliable sedan are in luck. 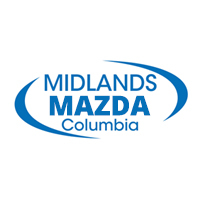 At Midlands Mazda, we are fully stocked with the latest new Mazda cars! Our sales staff is waiting to help you find the Mazda car that best meets your needs, from the Mazda3 to the Mazda6. When you’re ready to make the trip, be sure to schedule a test drive so we can make sure you have just what you need! Why Choose a New Mazda?